Elf on the Shelf Ideas - 25 Ideas to Up Your Game! It’s almost Christmas and if you are doing Elf on the Shelf, you are probably running out of ideas of where to hide your elf. Around the middle of December, I start running out of elf on the shelf ideas and things get boring. We hide on the Christmas tree, on the mantel and back to the tree. I’ve put together a list of 25 creative elf on the shelf ideas, to get you through the Christmas month. 5. Alice sneaking candy canes from upstairs! 7. Rub a dub dub! 13. Lighting all of the Christmas candles.. just don’t get too close! 18. Alice made breakfast for the kids! Little donuts made out of cheerios, little dab of chocolate and powdered sugar or sprinkles. 23. The gingerbread girl has finally stopped Alice from creating mischief with her magic! Needing a little more inspiration? 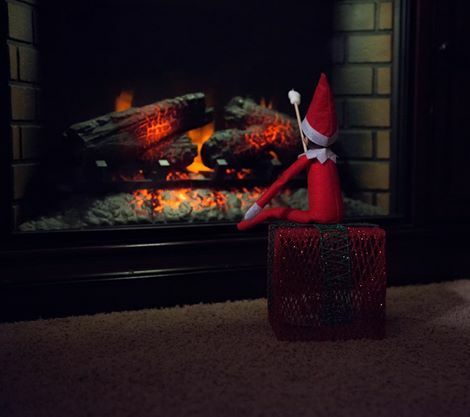 Check out the Elf on the Shelf Scout Elves at Play kit! It comes with 100 pictures to inspire your elves shenanigans and the play kit even comes with 15 elf sized tools to help you out.